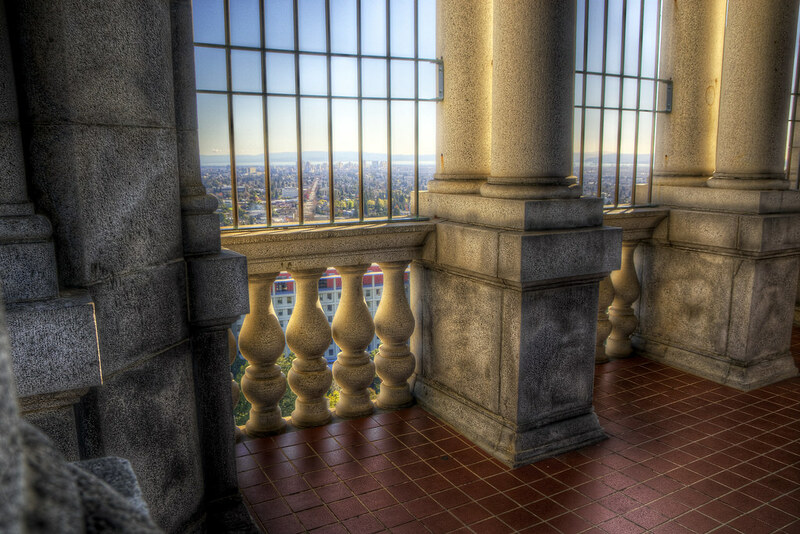 Beyond Sather Tower’s bars and columns is Telegraph Ave. and the city of Oakland. I never forget that view, but I do somehow always forget the red tiles at the top of the campanile. I guess my brain abstracts away the details, even when they’re a major part of the scene. How do you manage to produce photos from both Upstate New York and San Francisco? At the moment, I’m taking fresh pictures in New York and retrospectively posting images from San Francisco—though I am lucky enough to also have a chance to travel a bit.